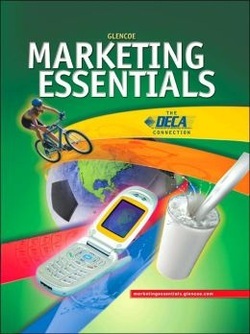 COURSE DESCRIPTION: Marketing Principles is the foundational course for all pathways in Marketing Education. Marketing Principles addresses all the ways in which marketing satisfies consumer and business needs and wants for products and services. Students develop an understanding of the functions of marketing and how these functional areas affect all businesses. They learn basic marketing concepts and the role of marketing in our economy. Students also develop skills in applying economic concepts to marketing, distribution and logistics, marketing information management, finance in marketing, product/service planning, pricing mixes, promotional strategies, and personal selling. In order to increase the number of application experiences, students should participate in work-based learning activities and the student organization, DECA, An Association of Marketing Students. It is highly advantageous for students to participate in a school–based enterprise where available.